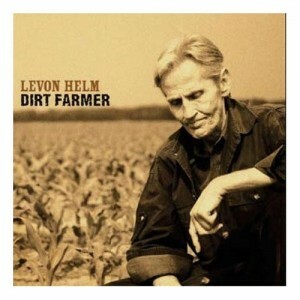 Sometimes even the strongest soldier falls, but folk rock legend Levon Helm is still peacefully battling on. His latest victory—overcoming throat cancer, which he was diagnosed with in 1996—inspires the 2007 release of Grammy Award-winning Dirt Farmer. Unlike several musical counterparts of his era releasing albums of distress and anger in what life has become, Helm is sharing stories of the life he knows and loves, and he’s celebrating his ability to sing them. Dirt Farmer is a beautiful narration in which Helm candidly acknowledges his shadows, fears, and stories—melancholy or otherwise—but not without hope. In fact he’s inviting all of those characters to the party. He has learned some lessons, and he feels an obligation to share them: Money isn’t happiness, pretty girls are fleeting, beauty is found in the heart, and comfort in the home. Fight for what is right, and never lose your faith. The arrangement of tracks on this album likely proves two things: Practice makes perfect, and Levon Helm is an immortal folk rock God. Throughout the 13 tracks of his latest album’s American folktale, he paints a picture of empty despair and fulfilled hope. I imagine Helm standing humbly, confidently in an empty cornfield devastated from drought and any cocktail of life’s hardships. There are still seeds somewhere in the dry earth that are full of life and promise. He not only understands both devastation and fear—he has accepted that both are innate, cyclical, necessary aspects of simply surviving. Several of the album’s tracks are verifiable jams. Some are swayers; some waltzy, but each still confidently a sun-shining, feet-stomping, beer-drinking, swing-your-girl-round-the-floor, helluvatime, track. The Mountain and Poor Old Dirt Farmer are Levon’s Big Yellow Taxi. He’s talking about change, growth and reflection. Life has been cutting down trees and putting parking lots around Levon all along. That’s what life does, and he is telling us how he feels. Not about the parking lot, but about what he’s lost and what he’s found. It’s his apology, expression of gratitude, and statement of hope told through driving rhythms and chill-inducing harmonies. The sixth track is a slow, exhausting trot through the desolate southern plains. Sweat beads fall from your tan, weathered face, and then (almost a minute and a half through the track) from out of nowhere appears two beautiful soulful background beauties (his sweet singing daughter, Amy Helm and Teresa Williams) at your sides, trotting right along with you. And suddenly, though there’s still no end in your warm dizzy sight, you no longer take notice because the harmonies are healing. You’re making beautiful music. Halleluiah, this is Calvary. He’s met single girls and married ones too. I suppose Anna Lee falls into one of those categories, but hers is sweet song of sparrows and lullabies. The chorus of A Train Robbery is industrially percussive. It’s one of those ‘should-have-been’ classics that Cool Hand Luke would have been singing on the chain gang. The last track on the album is a testament not only to Helm’s talent and masterful composition, but to the most central truth of the album. Levon himself is still carrying the scars, but with them courage and wisdom and appreciation for it all. He’s only halfway home and hell-bent on finding the time and innocence that he lost. His river may be wider than others, but he’s already wading and not turning back. There are no apologies in Helm’s lyric tales, yet they reek of brutal, sometimes hurtful, always welcome and thankfully recognizable honesty. He embraces all of life’s struggles and gifts. Whether out of instinct, necessity or fear, this faithful dirt farmer is finally admitting that he is just that. And reminding us that inherently, aren’t we all?